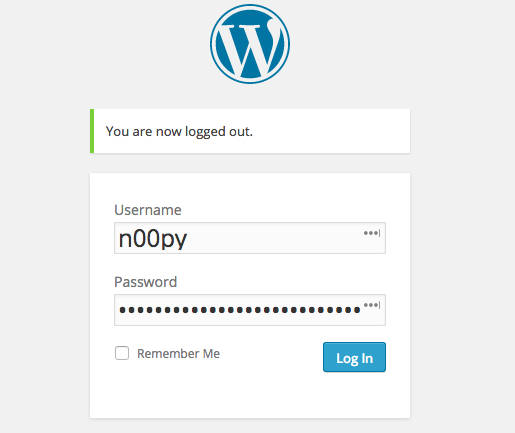 During the course of a penetration test, you may stumble upon a web server running WordPress. WordPress is a highly popular CMS. It runs on PHP, and is typically ran on top of a LAMP stack. While most WordPress servers on the web are configured with strong passwords and security plugins, rarely is this the case on internal networks. For this reason, attackers can often find vulnerabilities in outdated versions of the software or more simply, guess the administrative password. Once you guess the password, there are a number of different things you can do to pivot to other systems. Aside from escalating privileges, you can use WordPress itself to launch a number of other attacks against clients. 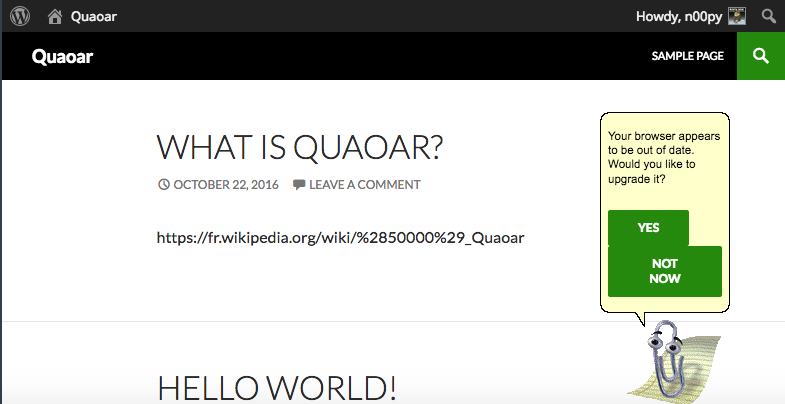 For these examples, I’m going to be using my own tools that I developed for exploiting WordPress. While WPScan is arguably the best WordPress security tool, my tool WPForce, has a couple of advantages that we can make use of. Unlike WPScan, which performs brute force login attempts agains the login page of WordPress, WPForce uses authenticated API calls to test the validity of credentials. While most security plugins are wise to this method, it does provide slightly more stealth. After identifying valid credentials, a companion script in the WPForce suite – Yertle, can be used to upload a backdoor onto the WordPress server and execute a number of post exploitation modules. Running Yertle is relatively simple, just supply the URL, username, password, and type of backdoor. While there are two types of backdoors available for upload, I prefer the –interactive option. Once you run the script the tool will login into the WordPress site and upload a plugin. If at any time you want to access this backdoor again, just supply the -e argument with the name of the upload directory. This plugin will take commands similar to SQLmap‘s os-shell. To see the available modules, you can just type “help” or “?”. One of the useful post exploitation modules you can run is hashdump. What hashdump will do is log into the SQL database, query the table containing the password hashes, and return the output. You can then crack these hashes, and begin trying to use these credentials to move laterally to other systems. Not only can we collect the hashes, but we can collect plaintext credentials too. By patching a PHP file within the WordPress core, we can log all passwords in plaintext as the user authenticates. wp_signon function patched. Do not run this more than once. 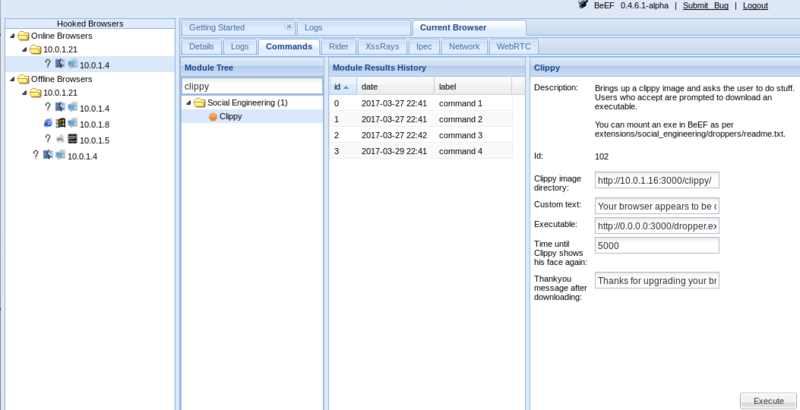 Use 'keylog' to check the log file. After a warning letting the user know modifications will be made to the WordPress core, the authentication function is patched. After waiting for a user to login, we can check the log file by typing “keylog” to see the plaintext credentials. BeEF hook added! Check BeEF for any hooked clients. Do not run this multiple times. Lastly, there are a couple ways to be more stealthy when using this tool. 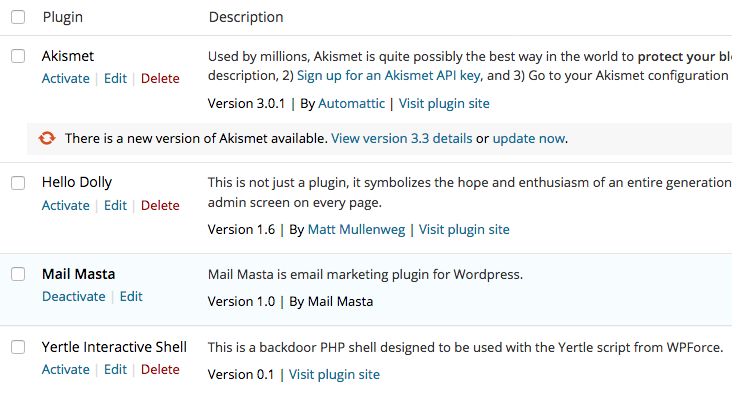 By default, this module registers itself as a plugin within WordPress, and this plugin is visible to an administrator. To remove the backdoor from the plugin screen, simple run the command “stealth”. The backdoor will still be accessible, it just will not be visible within the UI. It is also worth mentioning that Yertle will send the user agent “Yertle backdoor uploader” by default, but can be overridden with the -a flag. In my experience, this User Agent was causing my IP to be instantly banned when testing against web severs utilizing an IPS.